The applicant must be an Irish (including NI) registered company with its primary brewing operation on the Island of Ireland. Applicant company must have a current Brewers Manufacturers Licence from Irish Revenue or HM Revenue & Customs. Applicant company must have a current APT 3 form. Membership fees as outlined on this page are based on production amounts and are payable within 7 days of membership confirmation. Renewals are due annually in Springtime and initial fees are billed thereafter on a pro-rata basis throughout the year. A copy of the Manufacturer’s License and Form APT3 will be required for all full membership applicants. Applicants will be contacted within 2 working days with details of how to submit this documentation and will also be required to sign a declaration form in relation to membership criteria. 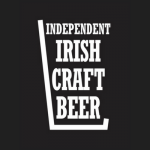 Note that ATP3 forms will be reviewed in strictest confidentiality by the management officer of the ICBI who has no direct affiliation to any single brewery. Associate Membership is open to breweries who meet the criteria for full membership but may not yet be operating a brewery. They may be brewing under license, but note that the brewery operation if this is the case will need to meet the criteria for full membership. Associate members must be planning to open their own brewery within a two year period and must submit a brief outline of their plans for same as a confirmation. More details will be provided upon filling out the simple online application form.